Acidente has no agents or representatives anywhere, by the time of this release. All contacts direct to the production. 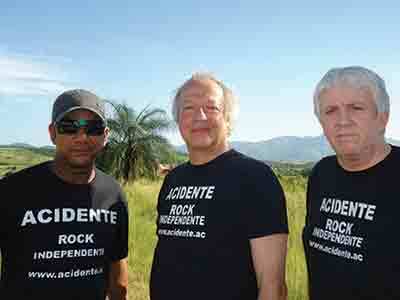 Acidente plays no live acts except in very rare special occasions that never happen at all. 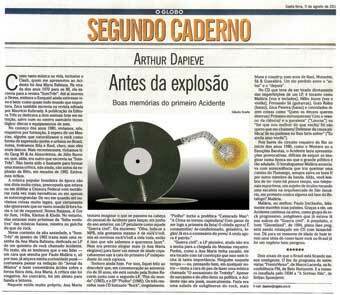 Acidente was far away in time and in space, lost in a world of dreams, when journalist Arthur Dapieve published on August 5th, 2011 a half-page chronicle called "Before the explosion" in the newspaper of the largest circulation in Rio, the last space where the major recording companies, publishers and music businessmen would want to see any reference to an unknown independent band from the remote past. The celebrated columnist devoted his extremely read weekly space to comment our humble album "Rock". It was the relaunch in CD of the 3 vinyls that Acidente had recorded in the eighties and, although nothing happened to that album (have you ever heard it even one single time on the radio? ), Dapieve's powerfull words were enough to show us the way: to go on. To put our feet on the road again, I mean, in the studio. 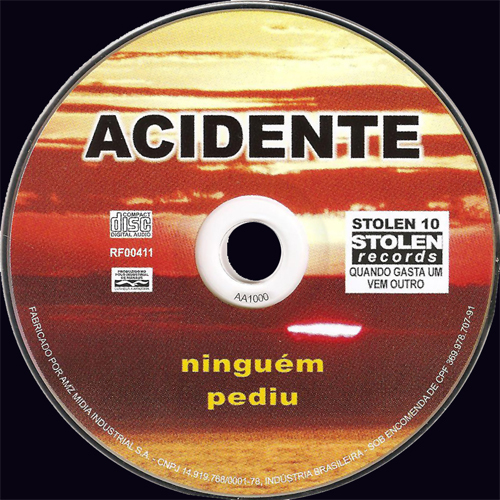 It was followed by two albums of new material, very different both in style and proposal: "Ainda" (2012), with one foot in hard rock and the other in progressive, and now this "Ninguém Pediu", which goes through other roads and sometimes (not always) brings a resemblance of the mood and times of "Rock". 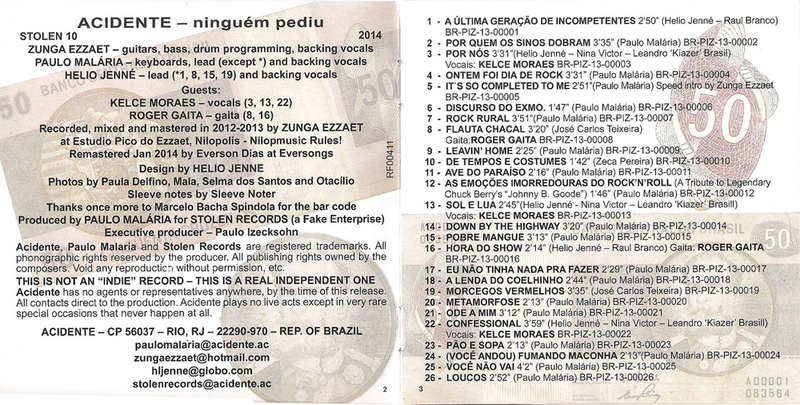 Many musicians who played in the previous Aça albums are not present (who knows one day? ), but the remnent trio represents with absolute propriety all of the so distinctive previous phases of Acidente since its foundation in 1978, with participations equally dignitary of credit. That's why, great Dapi, we apologize for the lack of thankful words in the booklet of "Ainda", but there are bad things that come for good, because it is here in "Ninguém Pediu" that you and everyone that hear it will find more of what Acidente could have recorded at that mine field of "BRock" and even before that, since in great part of this new album we made a long plunge in the seventies to refresh our spirits tired of this long battle that never ends. 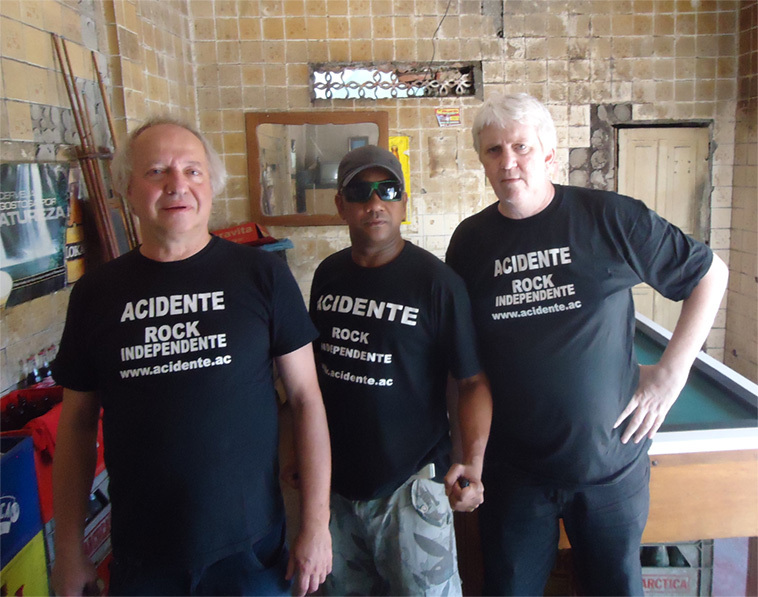 1 - A ÚLTIMA GERAÇÃO DE INCOMPETENTES 2’50"
2 - POR QUEM OS SINOS DOBRAM 3’35"
3 - POR NÓS 3’31"
4 - ONTEM FOI DIA DE ROCK 3’31"
5 - IT`S SO COMPLETED TO ME 2’51"
6 - DISCURSO DO EXMO. 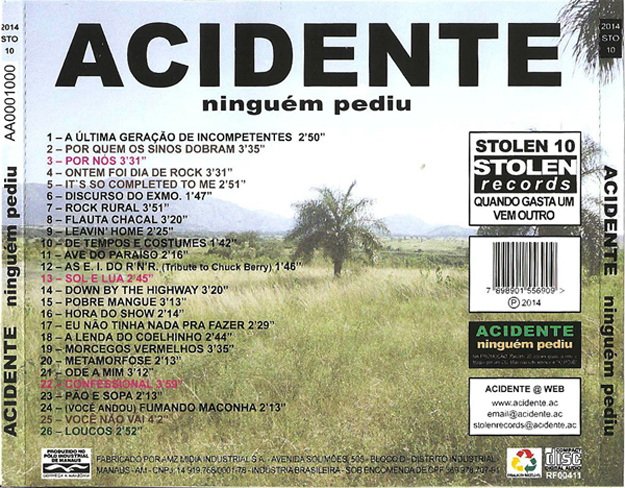 1’47"
7 - ROCK RURAL 3’51"
8 - FLAUTA CHACAL 3’20"
9 - LEAVIN' HOME 2’25"
10 - DE TEMPOS E COSTUMES 1’42"
11 - AVE DO PARAÍSO 2’16"
12 - AS EMOÇÕES IMORREDOURAS DO ROCK’N’ROLL (Tribute to Chuck Berry’s "Johnny B. Goodie") 1’46"
13 - SOL E LUA 2’45"
14 - DOWN BY THE HIGHWAY 3’20"
15 - POBRE MANGUE 3’13"
16 - HORA DO SHOW 2’14"
17 - EU NÃO TINHA NADA PRA FAZER 2’29"
18 - A LENDA DO COELHINHO 2’44"
19 - MORCEGOS VERMELHOS 3’35"
21 - ODE A MIM 3’12"
23 - PÃO E SOPA 2’13"
24 - (VOCÊ ANDOU) FUMANDO MACONHA 2’13"
25 - VOCÊ NÃO VAI 4’2"
at Pico do Ezzaet Studio, Nilopolis - Nilopmusic Rules! 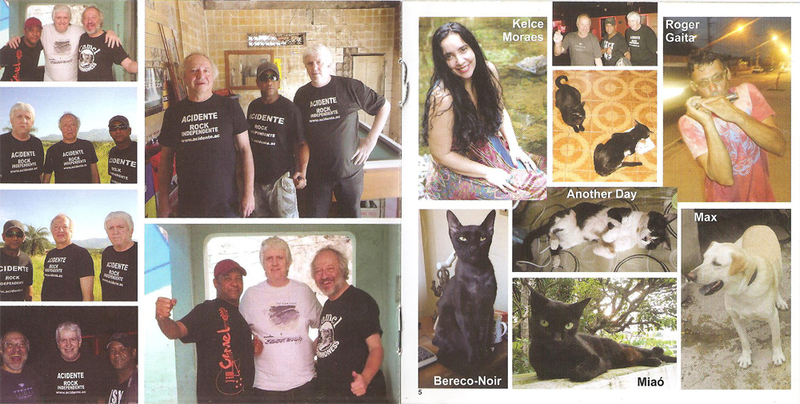 Our thanks to Marcelo Spindola Bacha (www.editioprinceps.com) for the barcode and to Rodrigo Araujo by his image. É realmente possuir o amor dentro de nós. Bem-vindos ao Brasil Grande! Aqui, no início dos anos 70, sob o comando dos melhores, mais honrados e mais aptos a dirigir a Nação, vocês encontrarão um refúgio seguro contra a Aids, a internet e outras epidemias do futuro. Basta seguir algumas regras simples: é proibido falar a palavra "ditadura"; também é proibida a palavra "liberdade", por isso proibimos o Hino da República; é proibido falar mal do governo; é proibido falar mal; é proibido falar. Trabalhador é para trabalhar, estudante é para estudar, militar é para prender, bater, matar, pegar 200 bilhões de dólares nos bancos estrangeiros e deixar a conta para o civil pagar. 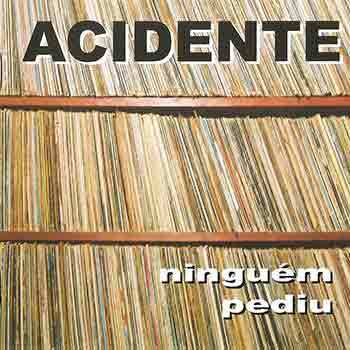 Agora, se vocês são músicos, não têm talento para a caserna, se não sabem nem bater uma reles continência, sua obrigação é fazer música para engrupir o populacho. 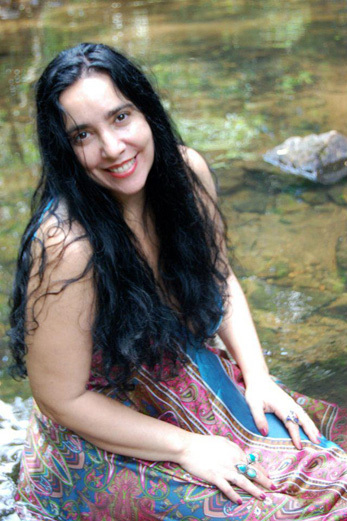 Lembrem-se de respeitar todas as proibições e de resto vocês são inteiramente livres. Façam músicas sobre o amor! O amor é tão lindo! Se ficarem com vergonha de falar de amor numa hora dessas, cantem em inglês! Mas se tiverem escrúpulos demais até para isso, então... então louvem a nossa terra. O chão infinito do nosso Brasil. 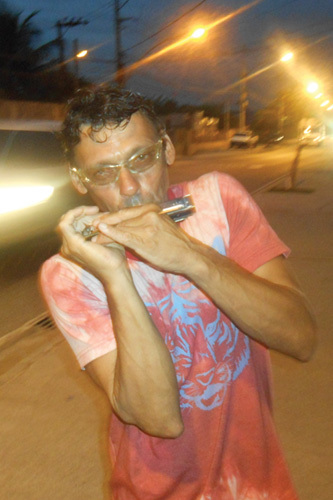 Vamos, cantem! Mas mesmo assim, Rock and Roll! Ele sabia do show e ficou pra ver, e ficou pra ver. Vendi a cabeça! Vendi a cabeça! E o que você fez pra mudar?